We thought that Big Fat Fringe Bribe season had peaked with the delivery of a real live human being, but we clearly weren't thinking metaphysically enough. 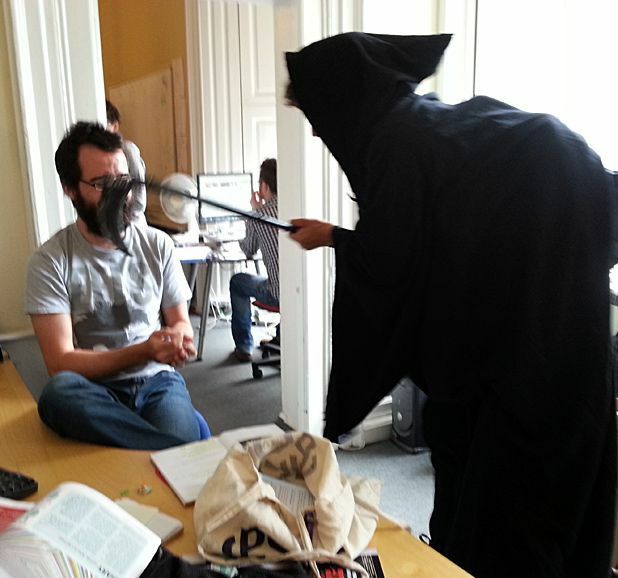 The Grim Reaper himself appeared in the List offices to hand out the next bribe (incongruously, a handful of rubber bouncy balls), intoning that all would become clear once we saw his show. He also set off some party poppers, which took ages to clear up after he left. Goodbye Gunther, a one-man comedy starring Frank Wurzinger and directed by John Wright, is on at Pleasance Dome until 25 Aug (not 6, 18) at 12.50pm. Tickets are £8–£10 (£7–£9).